Take out a subscription the Mother & Baby magazine, the essential magazine for modern mothers. A subscription to Mother & Baby magazine, the UK's number one baby magazine, is essential reading for today's smart, savvy, style-conscious modern mother. With a subscription to Mother & Baby magazine, every month you will get direct to your door an issue packed with hot news stories and reassuring features on pregnancy as well as practical tips on baby and toddler-care plus authoritative health pieces. And all that is before you mention the moving real-life stories, hot fashion, cool celebrities and the best shopping pages in the business. 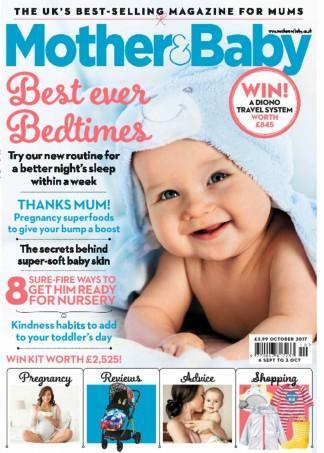 A subscription to Mother & Baby magazine is essential reading - sign up today and don't miss out! I love living in Australia but miss certain aspects of the UK. It&apos;s so great to see what mothers are up to on the other side of the world. This magazine seems to combine all the things I loved before becoming a mum with all the things I need to know now that I am a mum. It&apos;s my little treat every month.